Germany has unveiled the world’s first hydrogen-powered train, heralding a new era of eco-friendly transportation. 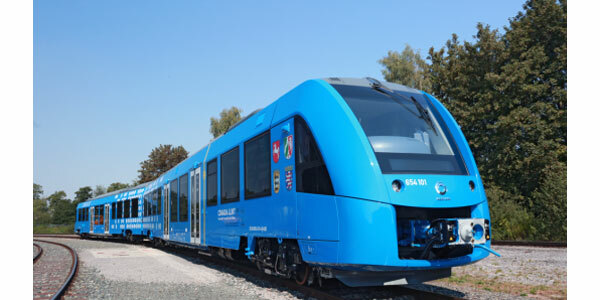 The 100km route along the cities of Cuxhaven, Bremerhaven, Bremervoerde and Buxtehude, connecting the German states of Bremen and Lower Saxony, northern Germany will be plying hydrogen-fueled trains on experimental basis. The hydrogen trains were built by the French company Alstom. “The world’s first hydrogen train is entering into commercial service and is ready for serial production,” said Henri Poupart-Lafarge, the CEO of Alstom, the French company that built hydrogen train at the unveiling ceremony in Bremervoerde. Hydrogen trains works on fuel cells that produce electricity through a combination of hydrogen and oxygen, a process that leaves steam and water as the only emissions. Excess energy is stored in Lithium-Ion batteries on board the train. The trains can run for about 1000 kilometres on a single tanking, comparable to the range of diesel trains. As of now, the hydrogen technology it more expensive than diesel-based technology, but are cheaper to run, suggest Alstom engineers. With many countries like France, Britain, the Netherlands, Denmark, Norway, Italy and Canada preparing to jump to the bandwagon, German adoption of hydrogen trains is expected to be an appointed moment in the evolution of hydrogen-powered transportation.